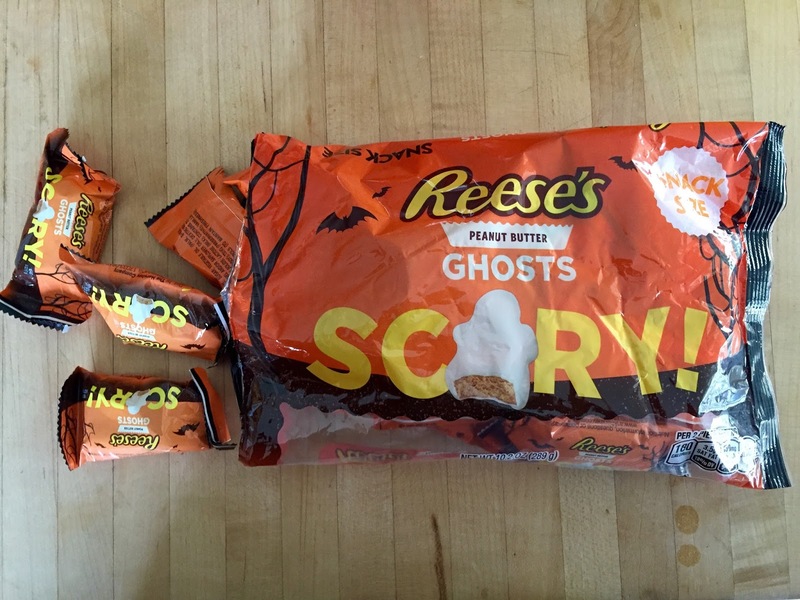 Looks like the fine folks at Reese’s took my advice and made a peanut butter ghost. They didn’t blow it up to Reester Bunny size like I’d hoped but I guess you can’t have everything. They did go me one better in the color department, though. 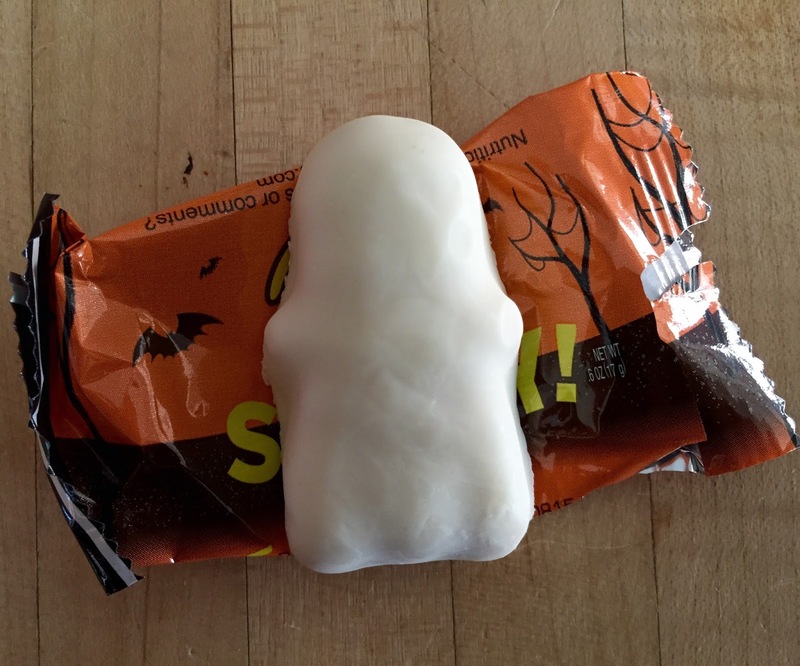 The Reese’s Peanut Butter Ghost is white! That’s awesome! 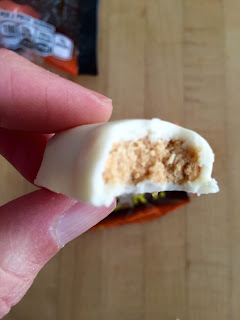 Of course it means that the coating is white chocolate rather than the slightly superior milk chocolate they use on the peanut butter pumpkins but the ghosts are still pretty darn delicious. And the best thing about them is that they’re zero calories. Because they’re ghosts, right? I mean, that’s just science. Junk Food Jones Bonus Tasty Tip: You know how all those ghost hunter shows claim that real ghosts create cold spots? Put your Reese’s Peanut Butter Ghost in the refrigerator for an authentic ghost hunter experience. Or for an even more authentic ghost hunter experience, look around your grocery store for them and fail to find any real sign that peanut butter ghosts even exist. The only proof you have that they’re real is some anecdotal evidence from a shady website.